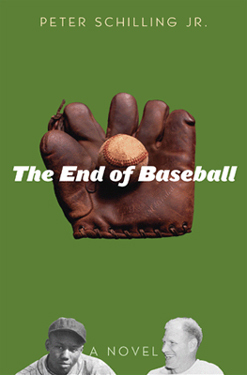 Contact Peter Schilling | The End of Baseball, a novel by Peter Schilling Jr.
Peter Schilling would love to speak with you about The End of Baseball. He has been interviewed on radio, spoken at libraries, book groups, and at both the University of Minnesota and the Peter Hobart Elementary School. He is available in person or via telephone or internet chat. Please contact Dana Kaye to schedule an appearance or make general publicity inquiries.